Who can benefit from BCAA 4? BCAA 4 by Quamtrax is a product that includes a powerful formula to enhance the anabolism and favor the recovery. It includes Vitamin B6 as a cofactor for the energy metabolism. The combination of Branched Chain Amino Acids (BCAAs) and Glutamine is probably the most used within the world of sport supplementation, in order to improve the recovery and encourage muscle synthesis. On the one hand, the supply of BCAAs and its properties will activate a metabolic pathway known as the mTOR, which is in charge of signalling the processes that involve the creation of new muscle fibers. Moreover, these three essential amino acids (L-Leucine, L-Isoleucine, and L-Valine) make up around a third of the skeletal muscle mass, which are the ones that suffer more deterioration due to the physical stress produced by the workout. In this way, its supply both before, during and/or after a demanding physical activity, will contribute to lower the degradation of muscle fibers apart from contributing to the synthesis of proteins. 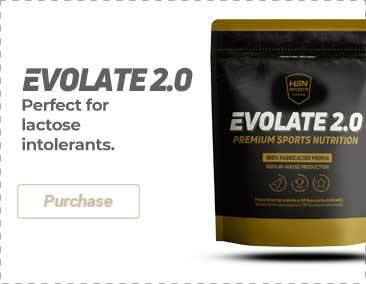 On the other hand, Glutamine or L-Glutamine is considered a conditionally essential amino acid, which means that its synthesis can be hindered under certain circumstances. In said situations, we may be undergoing a period of higher physical or mental stress due to our environment, as well as following a calorie restricted diet in order to improve our physical composition. The supply of Glutamine will increase the presence of said element in the blood plasma, and it will significantly improve and shorten the recovery phase. BCAA 4 has also included Taurine in its formula due to the benefits that this amino acid provides for training. Some of the properties of Taurine which make it so interesting for the physical purposes are the fact that it is involved in the hydric regulation of the cell membrane, which means that it acts as a muscle volumizer while maintaining the muscle fiber perfectly hydrated, and it also supports the the generation of new muscle tissues. On the other hand, those who are passionate about muscle congestion will be thankful for the effects of Taurine, since it will give them a better and more buffed physical appearance. Natural and artificial flavorings, lyophilized lemon powder. Mix 1 scoop (10g) of BCAA with water before the workout. Take another 5g just after finishing the workout.